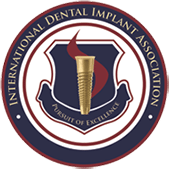 Find out how and why dental implants can change your life at our next dental implant day. Join Dr. Taj Haynes to learn about the benefits, process, costs and healing time associated with this affordable procedure. Take the first steps toward reclaiming your smile with Modern Family Dental Care – RSVP to reserve your spot today! Attend our FREE dental implant day for more information. We provide a full range of dental care services from routine teeth cleanings and x-rays, to more complex services like dental implants, and Invisalign for patients of all ages. We accept most dental insurance plans, offer dental financing, and even have our own wellness savings plan. We create a beautiful, confident, and healthy smile for everyone. It is important to be proactive and take care of your dental health year-round, not just when you are experiencing pain. We provide general dentistry, gum care, oral cancer screenings, and many more dental services to keep your teeth healthy and prevent dental issues. At Modern Family Dental Care, we strongly believe that your smile has a big impact on your life. We offer a range of dental cosmetic services like dental implants, Invisalign, and full dental cosmetic makeovers to help improve both your smile and your confidence. Sleep apnea is not just a nuisance but can actually lead to serious health issues and even death. We are proud to offer a dental sleep apnea solution at all three of our Charlotte and Concord dentist offices to help you get a good night’s rest. Save on the average cost of dental fees in Charlotte with our Wellness Plan. Experience quality dental services in Charlotte at an affordable price. Modern Family Dental Care offers an easy way to save through our Wellness Plan. The cost of an annual membership pays for itself when you receive an oral health maintenance exam, a teeth cleaning and a white filling service. In addition to our dental savings plan, we offer specials and flexible financing options. 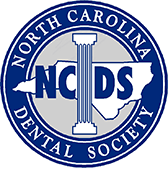 Modern Family Dental Care has dentists in Concord, NC and Charlotte, NC which makes it easier to schedule appointments and get in quickly for emergency dental services. With three Charlotte dental offices at North Lake, Davis Lake and Concord Mills, you’re sure to find a location close to you. We hope you’ve had a positive experience with the level of service offered by Modern Family Dental Care. Please take a moment to leave a review by completing the form below. Your comments are important to us! We love Modern Family Dental; it’s the best dental practice I have ever been to! They have it together, very friendly assistants and Dr. Taj is the best, very informative and patient! He really cares about his clients and it shows! I am very pleased with my experience at Modern Family Dental Care. Their use of up-to-date technology made them a delight to work with, from the online paperwork to the ability to watch a ceiling-mounted television while you are getting your teeth cleaned. The staff is friendly, professional, and prompt.